The improvements will include roadway widening, traffic signal improvements at Dascomb Road/Smith Drive, Dascomb Road/Frontage Road, Frontage Road/I-93 SB Ramps, and Dascomb Road/I-93 NB Ramps, construction of bicycle lanes, sidewalks, lighting, and a sewer extension. 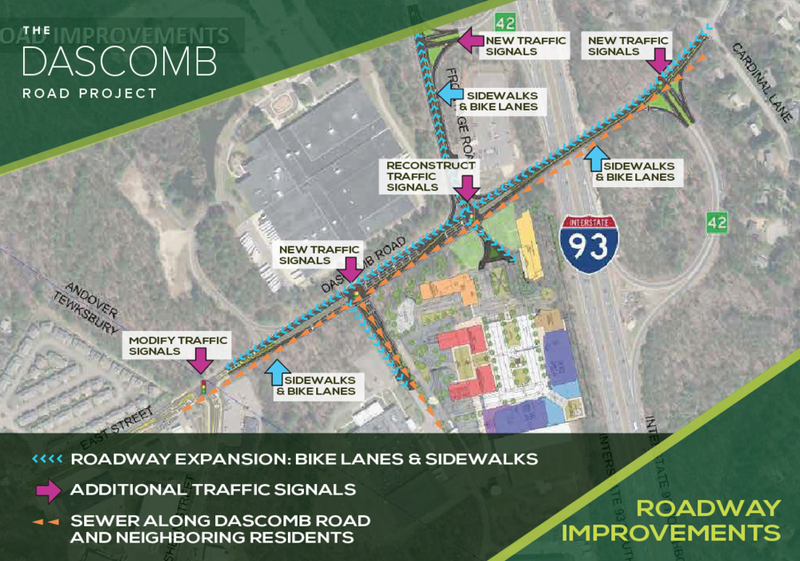 The transportation improvements along Dascomb Road are required under existing conditions due to traffic congestion, high crash rates (in the period between 2006-2010 there were 265 crashes at the interchange), and poor intersection/interchange operations (the I-93/Lowell Junction Interchange determined that Dascomb 09/12/2016 Page 2 of 10 MassWorks Infrastructure Program - 2016 MWIP-2016-Andover-00109 Project Type and Description Road Interchange operated at a Level of Service F, the lowest rating). 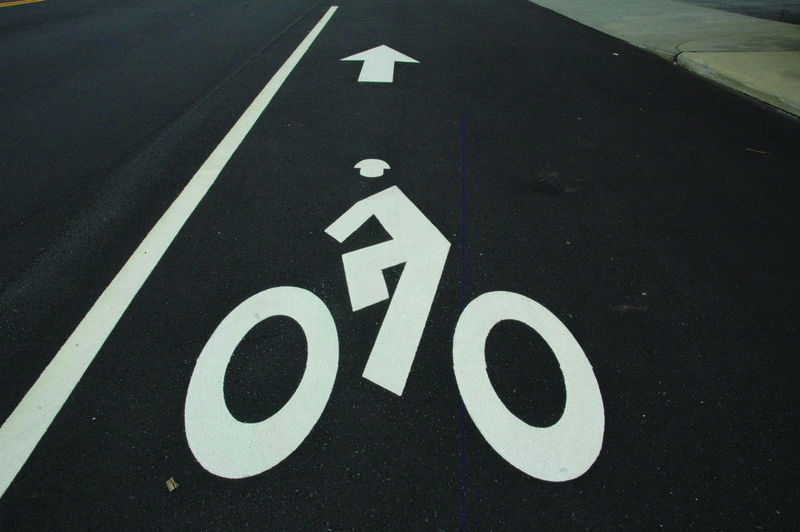 The proposed improvements will include reconstructing/widening Dascomb Road into a multimodal roadway that will accommodate healthy transportation alternatives such as walking, bicycling, and public/shared transit at the existing Park and Ride. (6) extend Andover’s municipal sewer along Dascomb Road to support development. 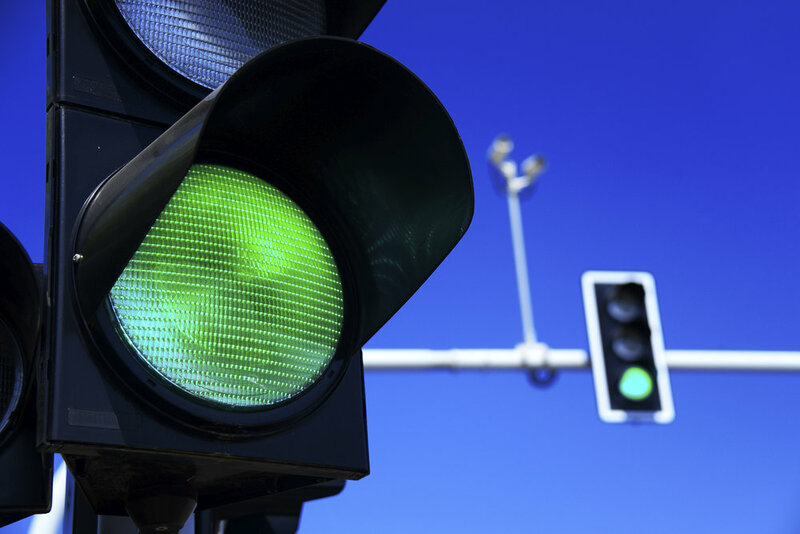 The Dascomb Road Improvements Project proposes to remove the barriers to economic development by improving public safety, improving the flow of traffic, and providing a sewer connection to the Town of Andover’s municipal sewer system. © 2019 Dascomb Road Project, All Rights Reserved. Dascomb Road Project is a direct affiliate of Lupoli Companies.